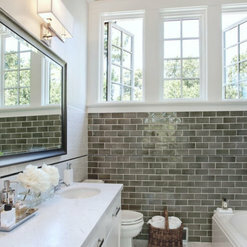 It helps to know the colors that you are drawn to, the square footage of your project, and the linear feet. With over 100,000 skus to go through, we can help with selections, prices and keep it within your budget. Our history is to bring dreams to reality. I recently brought a client to Bay Stone Depot and was pleased with the selection and service I received. Not only was Kimberly super helpful even though I showed up without an appointment when I came a day ahead to check it out, but she promptly ordered the samples we needed to make other decisions for my client's home. 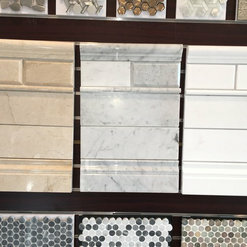 I realize they are separate businesses under one roof, but the fact that I can choose plumbing fixtures, shower enclosures, and cabinets in the same place I pick out tile and stone is super helpful. 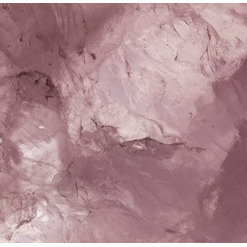 I've spent wonderful trips to look and finally select a gorgeous slab of quartzite for my kitchen remodel. Ken has been fabulous help and patience good advice and willing to get big slabs moved around by crane to find our favorite piece. Selection is unparalleled and service outstanding. Highly recommend. We went to Bay Stone when we decided to redmodel our Kitchen and bathroom. Our contractor recommended us to take a look at Bay Stone. Our first trip there, we were greeted by very friendly staff and later Kimberly helped us. Before we were there, we have no clue about tiles or slabs or stones or granite but Kimberly helped us through and made us feel very comfortable. On top of the friendly staff, Bay Stone carries a very wide selection and have a lot of stocks. 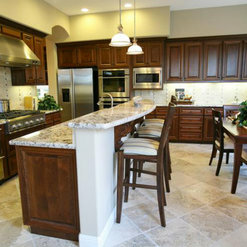 We end up changing our kitchen island and counter top, bathroom counter top as well as a wall mantle. We are very pleased after 5 months and will go back to Bay Stone if we are going to remodel again! On 4/12/18 I worked with Kimberly Spengler at Bay Stone. Prior to asking Kimberly for help, I was walking around overwhelmed and very discouraged. I didn't know where to start. Kimberly broke it down, room by room and in 3.5 hours we had designed the kitchen and 3 bathrooms...including grout colors. She was amazing!!! She knows her stuff! Super easy to work and communicate with. In the future working with Kimberly is a no brainer. We worked with Bay Stone Depot for many many years, and let me tell ya, our customers always go back there! its a very nice place with a alottttt of options. The staff, IS AMAZING! super friendly and helpful. more than recommended! As a designer, I love working with Bay Stone Depot! I always take my clients to their beautiful, spacious showroom to recommend materials of high quality and great value and they are never disappointed with them. We always receive timely and professional service and there is always something new on offer as well as great ways to customize the product for a particular application. Their wide range of collection covers many different design styles from modern to classic to traditional to mediterranean and many more. They understand customer's need and provide excellent customer service. Ray is outstanding to work with. I have mostly interacted with him on my projects but Jeff, Angel and other staff, they all are pretty helpful and knowledgeable. It's always a great experience working with them! 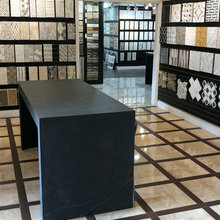 As an Industry Professional and licensed contractor, I am quite impressed with the showroom at Bay Stone, The Selection is endless! Each and every time I send my clients to Bay Stone I know they will be given word class service. 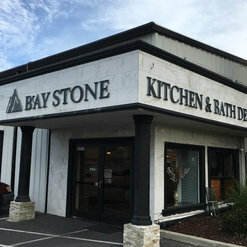 Bay Stone is a one shop stop and a must see if you are planning a remodel. Very good selection of stones. 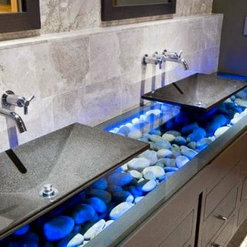 We prepare design for two bathroom remodel and kitchen update, I recommend this store for my other clients. I always experience Great customer service when working with Bay Stone, they have a very knowledgeable staff! Welcoming showroom with a large selection, and ask them about floor warming, excellent attention to detail. 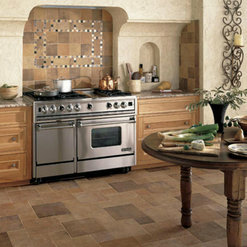 Baystone offers a wide variety of products for any remodeling projects. 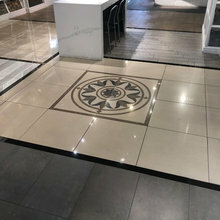 The service was great and the showroom is laid out nicely- meeting there with my clients has been a positive experience. Kerstin, thank you so much for your kind words. We are trying to be more responsive to those who come into the showroom and strive to provide a higher level of customer service. We hope to see you again. We have been working with Jeff at Baystone for a few years now. He is always very responsive and very fun to work with! 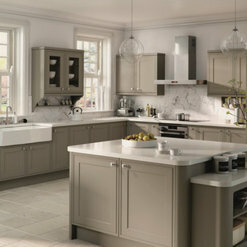 They are constantly expanding the showroom and bringing in new products. 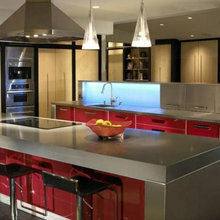 We highly recommend Baystone Design Showroom! 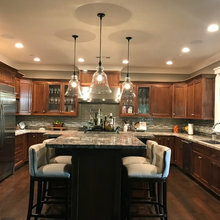 We have worked with Baystone on numerous projects and have received nothing but the best service from Jeff and the team. They are always quick to respond, and offer nothing but the best customer service to both us as well as our clients. We would highly recommend Baystone and will continue to work on future projects with them. Thank you so much to Jeff and the team at Baystone. Thank You! Bay Stone Depot commented on a discussion: Cambria Ironsbridge? Commented: what is the name of the countertop?Carrara Marble has multiple patterns, complexity and color. 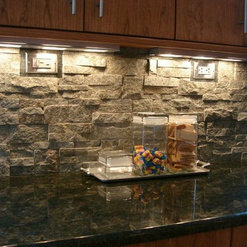 Bay Stone is a direct distributor for MSI. 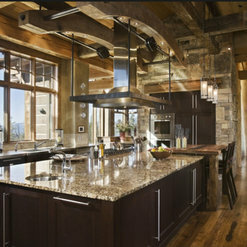 Commented: what material is the island top ?Yes, the quartz countertop goes so well with white cabinets. Sparkles!! Commented: countersIt looks like Golden Persa or Golden Crystal granite.